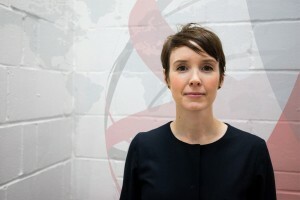 Naomi became Executive Director in September 2018 after previously serving as Deputy Director from October 2017, when she joined Harm Reduction International. She brings more than 10 years of international experience at the intersection of harm reduction, HIV and human rights. From 2014-2017, Naomi worked for the Open Society Foundations’ Public Health Program, leading a portfolio of funding and policy engagement that supported civil society to challenge the negative impact of drug policy on access to controlled medicines, and strengthen access to justice for people who use drugs. Between 2009 and 2014, Naomi worked in a regional capacity for the HIV and Health Law Program at the International Development Law Organization (IDLO); posted in Jakarta, Kathmandu, then Kampala. In partnership with local organisations in Bangladesh, India, Indonesia, Nepal, Pakistan and Papua New Guinea, Naomi implemented programs advancing the rights of populations vulnerable to HIV via legal services and national human rights mechanisms. Naomi spent the first five years of her career practising law in Australia, in the private sector and as a pro bono legal adviser at community centres.